2012, is a merraige year for bollywood . After Genelia-Ritesh ,Rohit Dhavan-Jhanvi today another bollywood celebrity engaged with businessman boyfriend. 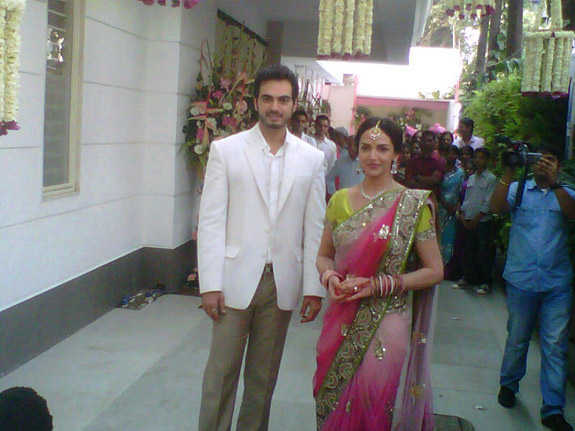 Dream Girl Hema Malini's daughter engaged with his love Bharat Thkhtani on Sunday Morning. After Engagement Mother Hema Malini said that she is very happy now and we will soon declare merraige date.